Located in the República Square, just a few steps from the 5 Bicas fountain, the São Sebastião Chapel is a must visit location. Its origins go back to the foundation of Caldas da Rainha, throughout the fifteenth-century passage to the sixteenth century, having undergone refurbishment works in the eighteenth century, under the reforms promoted by King João V.
There, we can watch a combination of religion and pottery art, so typical of Caldas da Rainha, the blue interior coating and white tiles, are artworks that deserve to be contemplated for they tell the tales of St. Sebastian’s life. 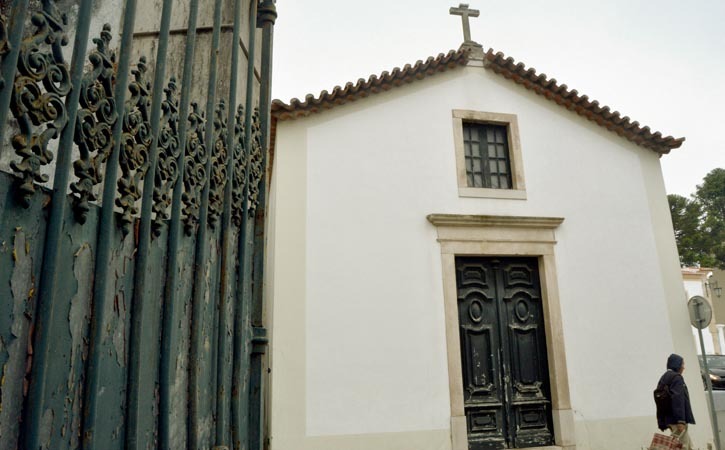 São Sebastião Chapel importance earned the mention of Public Interest status since 1984, therefore, it can not be forgotten in any visit to Caldas da Rainha. This chapel is part of the Thermal Hospital heritage so, to visit it you should pass by the Museum Hospital and Caldas and request a visit.